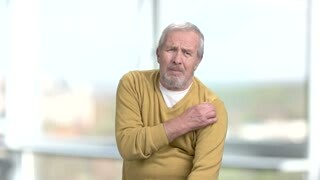 Senior man suffering from shoulder pain. 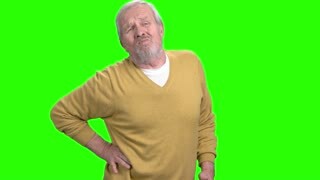 Elderly man rubbing his shoulder on blurred background. 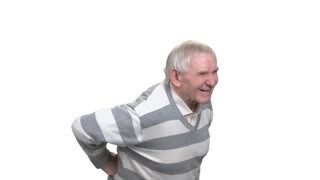 Arthritis and sickness concept. 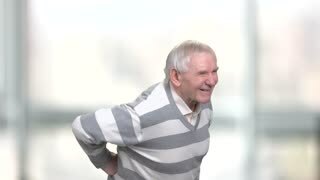 A senior man suffers from pain. 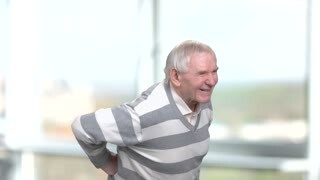 Elderly man having pain in back, blurred background.